24/7 Emergency Flood Services Cleaning by Appt. Services for all your Home and Business needs. Veteran's Cleaning & Restoration has a A+ BBB rating and over 500+ satisfied clients. Veteran’s Cleaning & Restoration Services is proudly owned and operated by some of our country’s finest and most honorable military veterans. We continue to serve within the cleaning and restoration industry with the same high standards and disciplines. We are bred for one purpose only, which is to be “service driven”. 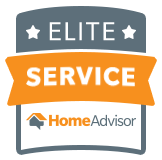 Due to our military service background, we boldly claim to uphold the very highest of standards in the cleaning and restoration service industry, as well as provide unparalleled customer service. Although we were established in 2010, we have over 14 years experience in the carpet and restoration services industry.We are a pack of respectful, well mannered military veterans who whats to bring commitment of service to our customers, and the highest standards of cleaning and restoration as possible. We decided to only hire military veterans, because we wanted to bring the same level of commitment of service and the highest standards in cleaning and restoration to our customers.Today Veteran’s Cleaning & Restoration Services is owned and operated by proud military veterans. 14 years in a row, Veteran’s Cleaning & Restoration has provided superior cleaning and restoration services to customers across the entire span of the Chicagoland area. Recently, we narrowed down our service radius to improve quality control and shorten our response time. Fantastic job cleaning both upholstery and home carpeting. Tough carpet but they made it look sooooo much better and very clean as well. Great company that we will highly recommend. Pesky stain in a brand new chair that would not come out,Veteran's cleaning and restoration made it look like new. Reasonably priced, quick, efficient, and best of all gives back to our vets. Would highly recommend. Veteran’s Cleaning & Restoration Services Inc. Veteran's Cleaning & Restoration Services offers flexible hours to better fit your schedule.